My dad asked harshly, his eyes going a shade darker, turning blue, then white and finally yellow. Is my father an enemy? I thought sadly as my insides itched with desperation. I’m consumed with grief, and my days were at an end. I called to Hades but he refused my plea for death. ‘Can’t help you young lady, I am under strict instruction to let you be,’ he said with a certain amount of pity. First time I’d seen him shown any feelings for me. You see, I had to work with him, since I’ve realised how important, he was to my job. 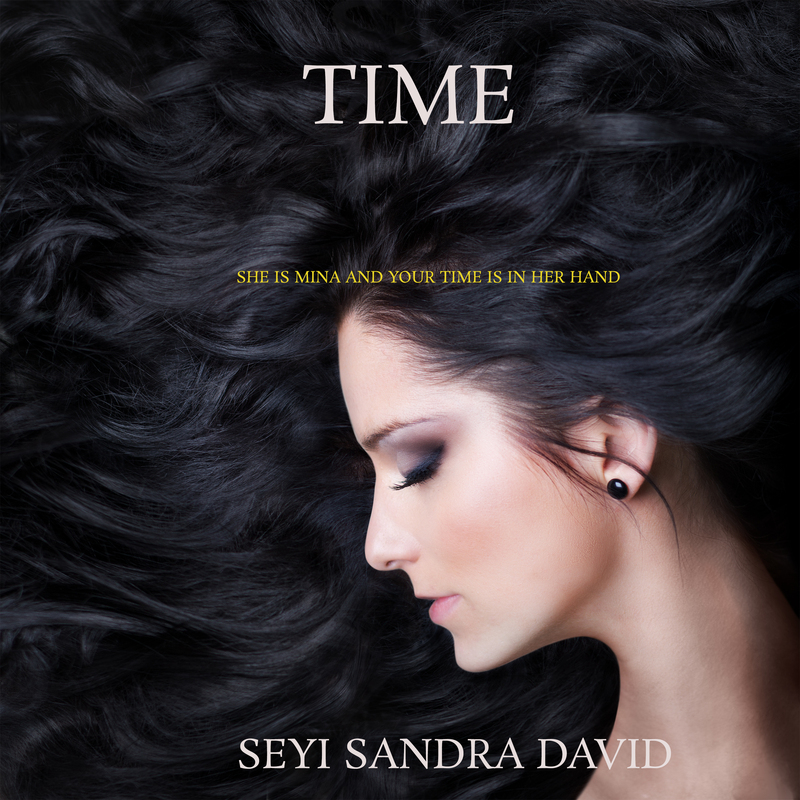 Seyi Sandra is playing with my fate, say, can you help? Hey dear friends, how are you? I’m terribly busy and out of the blues, I remembered ‘TIME’ the story I whipped up ages ago about a nineteen year old girl fighting against an invisible enemy. Now, I’m at a cross road, I’ve got the gut feeling to self-publish ‘TIME’ as a short story but ArrowGate (my publisher) is interested in publishing it as a full length novel, (I’m gonna write it first, I’ve written a couple of thousand words now) and not a short story. I have another novel coming out in a couple of months. What should I do? By the way, I own the rights to that IMAGE and I did the cover myself while playing around with Photoshop. This entry was posted in Books, Life, Motivation, Publishers, Writers, Writing and Character Development and tagged Arts, Fiction, Literature, Online Writing, Publishing, Seyi Sandra David, Short Stories, Short story. ← Are Writers Seers Or Plain Old Liars? Thanks for that Pamela, like my husband would say, ‘why the hurry!’ I guess I’ll go with my publisher’s idea. Enjoy the rest of your day! If you have the time, think you can turn it into a full-length novel, and make it the way you want, you should. The publisher obviously thinks it has potential. I guess so! Thanks so much for your advise, glad to have a friend in you! I like the cover, especially the hues or shades of the hair; fits in with the mysterious feeling of the theme. Thanks Sharifah, I appreciate that! Before going to sleep tonight ask yourself this question, requesting an answer. If this needs to be repeated for two or more nights so be it. “You” knows the right answer, and will let you know if you give yourself the opportunity. Hmmmnnn. I’ll try that Ben!! II also love the way you put it. Thank you! Thanks for your constant Reblog dear friend, I do appreciate it! Thank you, that means a lot to me and I appreciate you!! Thanks Alastair! The novel would take longer, but I guess it would be worth it! It would. The other alternative (not being an author myself, but wanting to give it a go) is to write the ending, and as you are writing the story, see where it would go to the ending so you can tell if you can make it a short story keeping everything intact, or if it would indeed be better for descriptive purposes and flow to make a novel. It does, the thing is, I write like Jeffrey Archer, the story just flows… It’s as if there’s something other than me writing the story. It’s crazy but it’s true. I’ve had drafts and stuffs like that before but at the end I have a brand new story, weird isn’t it? But I think your method is kind of innovative and interesting, might give it a go! When I used to Role-play (no, not that kind dirty girl haha) just kidding .. when I used to play Dungeons & Dragons, I was the “Dungeon Master” I was the one running the game. The games were always my own design, and I would see from one week to the next how it would go. I would have an idea on the bad guy at the end, and then just let it go. In essence, the players wrote the story. I know what you mean, when you have a story stuck to you like second skin, it would always be there – and when you’re ready to roll, the words would simply spill out like a tidal wave and then you can write and write and write! Do write that story Alastair, I’ll love to read it. Being selfish – I say short story. But – really – I say go with your gut feeling. Nice cover – by the way! Thanks Rosy, guess I’m not bad as a graphic designer! I’ll definitely go with my gut feeling, I appreciate your visit dear friend! I love short stories so I can selfishly say short story but with the way you explained your writing process, I can only say let the story decide for you. All the best with what ever you come up with. Waiting to read it. Thank you dear Fikayo, I’ll be glad if you do read it when it’s out. Enjoy the rest of your night! I say write the book. If there is someone wiling to publish it should be written. I will John! Thanks for your encouragement! I’m with your publisher this character could be like an onion, as you peel one layer there’s another and another and another……….etc. However , I say follow the heart and don’t rush! I’ve decided to write the full length book, and like you said, the character has a lot to offer in a full length fiction rather than a short one! Thanks for your comment and visit Freddie! It’s always a pleasure to read someone who has command of her craft! Your writing takes me to another place and I always enjoy the trip! I ove short stories, so I would say short story and you can then do the other novel too. It is up to you though an dhow you are with inspiration and time! Enjoy writing! Thank you Ute, I’ve decided on the novel, I’m glad you like my writing. God bless you! Love the cover, more words from you is always what we want, so great idea to expand to a full novel. Thank you! You’ve got me blushing! Thanks Daniella, I will! Appreciate your comment and visit! I have every confidence in God first and then in you that you will do a fantastic job on your novel. I would say go for the novel, rather than the short story. There is more potential there as a project and it would be great to add to your portfolio another book. I LOVE the cover! Thank you dear friend, I hope you’ll have a great week! Thanks for your kind comment, I’ll write the full length novel, I guess it’s better that way! Thanks for stopping by, can’t wait to read your stories!! Hi Seyi. Just the bit here sounds pretty exciting! Can’t wait to read the full length story. Thank you Anne, you are too kind!